Dr. Isaac Prilleltensky was born in Argentina and has lived and worked in Israel, Canada, Australia, and the United States. 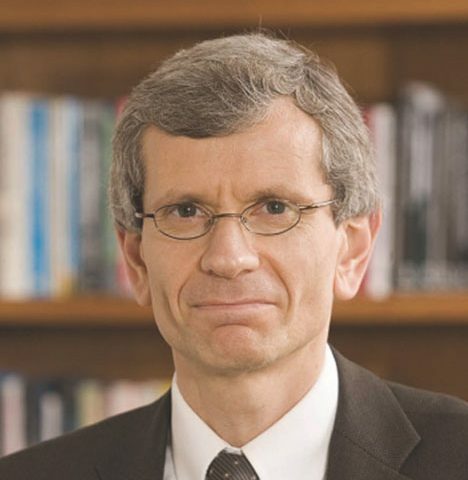 He is Dean of Education and Human Development at the University of Miami, the inaugural Erwin and Barbara Mautner Chair in Community Well-Being, and the Vice Provost for Institutional Culture. He has published eight books and over 120 articles and chapters. His interests are in the promotion of well-being in individuals, organizations, and communities; and in the integration of wellness and fairness. He is the recipient of the 2014 “Lifetime Achievement Award in Prevention” by the Society for Counseling Psychology, Division 17 of the American Psychological Association. He is also the recipient of the 2011 "Distinguished Contribution to Theory and Research Award" of the Community Psychology Division of APA. In addition, he received the John Kalafat Award for the Practice of Community Psychology from the same division of APA. He is leading an interdisciplinary team developing assessments and online interventions to promote interpersonal, community, occupational, psychological, physical, and economic (I COPPE) well-being. Isaac is a fellow of the American Psychological Association and of the American Educational Research Association. In 2002 he was a visiting fellow of the British Psychological Society. Isaac is a vegan and fitness aficionado. He speaks several languages and has given keynote addresses in 26 countries. His humour columns have been published in the Miami Herald and Miami Today. His latest book is The Laughing Guide to Well-Being: Using Humor and Science to become Happier and Healthier. Dean Prilleltensky’s team developed Fun for Wellness, an online program to promote health and well-being. This research-based, skill-building program promotes health and well-being in six areas of life: Interpersonal, Community, Occupational, Physical, Psychological, and Economic (I COPPE). The skills are based on seven drivers of change we call BET I CAN, which stands for Behaviors, Emotions, Thoughts, Interactions, Context, Awareness, and Next Steps. The program was the subject of a randomized controlled trial and the results demonstrate that the program increases perceptions and actions related to well-being, as well as self-efficacy. Watch this trailer for an overview of the program. Summaries or pre-publication drafts of some of these publications can be read online. Prilleltensky, I., Laurendeau, M.C. (Eds.). (1994). Prevention: Focus on children and youth. Special issue of the Canadian Journal of Community Mental Health, 13(2). (Prilleltensky Senior Editor). Prilleltensky, I., Evans, S. (Eds.). (2007). Journal of Community Psychology on “Youth and Democracy: Participation for Personal and Collective Well-Being.” Volume 35(6). Prilleltensky, I. (in press). The Road to Mattering: Challenging the Status Quo, Promoting Wellness and Fairness. In. F. Bemak and R. Conyne (Eds. ), Professional Journeys of Noted Psychologists and Counseling Professionals: Stories of Courage, Innovation, and Risk-Taking. London: Sage. Nelson, G., Prilleltensky, I., & Hasford, J. (2015). Prevention and Mental Health Promotion in the Community. In D. Dozois (Ed. ), Abnormal Psychology: Perspectives (5th ed.). (pp. 467-485). Toronto: Pearson Education Canada. Prilleltensky, I. (2014). Wellness as fairness. In A. C. Michalos, (Ed. ), Encyclopedia of Quality of Life and Well-Being Research (7188-7122). Dordrecht, Netherlands: Springer. Prilleltensky, I. (2014). Education as transformation: Why and how. In T. Corcoran (Ed. ), Psychology in education: Critical theory-practice (pp. 17-34). Rotterdam: Sense Publishers. Prilleltensky, I., & Huygens, I. (2014). Well-Being, Justice, and Social Change. In C. Johnson, J. Diaz, Z. Franco, H. Friedman, and B. Nastasi (Eds. ), The Handbook of Psychology and Social Justice, Volume 2, (pp.3-32). Santa Barbara, CA: ABC-CLIO. Prilleltensky, I. (2014). Psychopolitical validity. In T. Teo (Ed. ), Encyclopaedia of Critical Psychology. Springer Verlag. Prilleltensky, I., & Stead, G. (2013). Critical psychology and work. In D. Blustein (Ed. ), The Oxford Handbook of the Psychology of Working (19-36). Oxford University Press. Evans, S., Prilleltensky, O., McKenzie, A., Prilleltensky, I., Nogueras, D., Huggins, C., & Mescia, N. (2011). Mudanca organizacional pra or bem-estar da comunidade (Portuguese) (Organizational change for the promotion of community well-being). In J. Castela Sarriera (Ed. ), Saude Comunitaria (pp. 27-52) (Community Health). Editoria Salina: Brazil. Prilleltensky, I. (2010). Small group and individual interventions. In G. Nelson, and I. Prilleltensky (Eds.). Community psychology: In pursuit of liberation and well-being. (2nd edition). Palgrave. Prilleltensky, I. (2010). Organizational and community interventions. In G. Nelson, and I. Prilleltensky (Eds.). Community psychology: In pursuit of liberation and well-being. (2nd edition). Palgrave. Prilleltensky, I. (2010). Social interventions. In G. Nelson, and I. Prilleltensky (Eds.). Community psychology: In pursuit of liberation and well-being. (2nd edition). Palgrave. Prilleltensky, I. (2010). Commitment, accountability and power. In G. Nelson, and I. Prilleltensky (Eds.). Community psychology: In pursuit of liberation and well-being. (2nd edition). Palgrave. Prilleltensky, I. (2010). Community and power. In G. Nelson, and I. Prilleltensky (Eds.). Community psychology: In pursuit of liberation and well-being. (2nd edition). Palgrave. Prilleltensky, I. (2010). Values for community psychology. In G. Nelson, and I. Prilleltensky (Eds.). Community psychology: In pursuit of liberation and well-being. (2nd edition). Palgrave. Fox, D., Prilleltensky, I., & Austin, S. (2009). Critical psychology for social justice: concerns and dilemmas. In Fox, D., Prilleltensky, I., & Austin, S, (Eds.). Critical psychology: An introduction. London: Sage. Prilleltensky, I & Nelson, G. (2009). Community psychology: Advancing social justice. In Fox, D., Prilleltensky, I., & Austin, S, (Eds.). Critical psychology: An introduction. London: Sage. Evans, S., & Prilleltensky, I. (2008). Critical psychology. In G. Provenzo (Ed. ), Encyclopedia of the Social and Cultural Foundations of Education. London: Sage. Prilleltensky, I. & Prilleltensky, O. (2007). Webs of well-being: The interdependence of personal, relational, organizational and community well-being. In J. Haworth and G. Hart (Eds.) Well-Being: Individual, community and social perspectives (pp. 57-76). London: Palgrave/Macmillan. Hanlin, C., Bess, K., Conway, P., Evans, S., McCown, D., Perkins, D., & Prilleltensky, I. (2007). Qualitiative research in Community psychology. In C. Willig & W. Rogers Stainton (Ed.). Handbook of Qualitative Research in Psychology. Sage. Evans, S., & Prilleltensky, I. (2007). Literacy for wellness, oppression and liberation. In J. Kincheloe and R. Horn (Eds.). Encyclopedia of Educational Psychology (pp. 341-353). Greenwood Publishing Group. Prilleltensky, I. (2004). Validez psicopolitica: el proximo reto para la psicologia comunitaria (Psychopolitical validity: The next challenge for community psychology). In M. Montero Introduccion a la psicologia comunitaria. Buenos Aires: Paidos. Peirson, L., Nelson, G., Prilleltensky, I.(2003). Expanding the frontiers of thinking and action in promoting family wellness and preventing child maltreatment. In K. Kufelt and B. McKenzie (Eds. )., Child Welfare: Connecting Research, Policy and Practice. (pp. 101-110). Wilfrid Laurier University Press.. For summaries of family wellness project visit http://www.cwlc.ca/, click on resources and follow link to family wellness project. Prilleltensky, I., Peirson, L., Nelson, G. (2001) Mapping the terrain: Framework for promoting family wellness and preventing child maltreatment. In I. Prilleltensky, G. Nelson, L. Peirson (Eds.). Promoting family wellness and preventing child maltreatment: Fundamentals for thinking and action. Nelson, G., Prilleltensky, I., Peirson, L. (2001). Beyond the boundaries: Themes for thinking and action in the promotion of family wellness and the prevention of child maltreatment. In I. Prilleltensky, G. Nelson, L. Peirson (Eds.). Promoting family wellness and preventing child maltreatment: Fundamentals for thinking and action. Rossiter, A., Prilleltensky, I., Walsh-Bowers, R. (2000). Postmodern professional ethics. In Rossiter et al.(Eds. ), Postmodern and feminist perspectives in social work practice (83-103). London: Routledge. Prilleltensky, I. (2000). Bridging agency, theory and action: Critical links in critical psychology. In T. Sloan, (Ed. ), Critical psychology: voices for change (pp. 67-81). London: MacMillan. Nelson, G., Prilleltensky, I. Peters, R. (1999). Mental health promotion and the prevention of mental health problems. In W. Marshall and P. Firestone (Eds.). Abnormal Psychology Perspectives (pp. 461-478). Scarborough ON: Prentice Hall. Prilleltensky, I., Nelson, G.(1997). Community Psychology: Reclaiming social justice. In D. Fox and I. Prilleltensky (Eds. ), Critical Psychology: An introduction (pp. 166-184) London: Sage. Read summary. Prilleltensky, I. (1995). The politics of abnormal psychology: Past, present and future. In Goldberger, N., Veroff, J. (Eds. ), (1995). The culture and personality reader. New York University Press. Originally published in 1990 in Political Psychology, 11, 767-785. Prilleltensky, I., Gonick, L. (1994). The discourse of oppression in the social sciences: Past, present, and future. In E. Trickett, R. Watts, and D. Birman (Eds. ), Human diversity: Perspectives on people in context. San Francisco:Jossey Bass. (Prilleltensky senior author). Myers, N. D., Prilleltensky, I, Prilleltensky, O., McMahon, A, Dietz, S., Rubenstein, C. L. (2016). Effectiveness of the fun for wellness online intervention to promote multidimensional well-being: A randomized controlled trial. Manuscript submitted for publication. Prilleltensky, I., & Arcidiacono, C. (2010). Modello ecologico e migrant: Benessere, giustizia e potere nella vita defli immigrati. Psicologia di Comunitá, 1, 11-24. Fox, D., & Prilleltensky, I. (2002). Wading through quicksand: Between the philosophically desirable and the psychologically feasible. International Journal of Critical Psychology, 6, 159-167. Austin, S., & Prilleltensky, I. (2001). Diverse origins, common aims: Challenges of Critical Psychology. Journal of Radical Psychology. (electronic refereed journal). Prilleltensky, I. (2001). Emancipation, epistemology, and engagement: Challenges for critical psychology. International Journal of Critical Psychology, 1, 106-110. Prilleltensky, I., & Austin, S. (2001). Critical psychology for critical action. International Journal of Critical Psychology, 2, 39-60. Prilleltensky, I. (1998). Valori, presupposti e prassi: Come valutari le implicazioni morali de lla teoria e dell’azione psicologica. Bollettino di Psicologia Applicata, XLV, 3-26. (Italian translation of paper published in 1997 in American Psychologist, see entry below). Prilleltensky, I., & Laurendeau, M.C. (1994). Prevention and the public good. Introduction to special issue of Canadian Journal of Community Mental Health on Prevention: Focus on children and youth, 13(2), 5-10. Prilleltensky, I. (1992). Radical behaviorism and the social order. Counselling and Values, 36, 104-111. Prilleltensky, I. (1999). Value-based leadership in organizations. McGill University Symposium on Ethical leadership, Montreal, May 27-28, 1999. Prilleltensky, I. (1998). Values and assumptions about values and assumptions. American Psychologist, 53, 325-326. Prilleltensky, I. (1994). Psychology and social ethics. American Psychologist. 49, 966-967. Prilleltensky, I. (2015). Two Insane Countries. Review of M. Looman and J. Carl’s A Country called prison: Mass Incarceration and the Making of a New Nation. New York, NY: Oxford University Press. PsychCRITIQUES. Prilleltensky, I. (2015). A Good Person-Environment Fit Requires Fitness and Fairness. Review of A. Biglan’s The Nurture Effect: How the Science of Human Behavior Can Improve Our Lives and Our World. PsychCRITIQUES. Review of H. A. Marujo and L. M. Neto (Editors) (2014). Positive Nations and Communities: Collective, Qualitative, and Cultural-Sensitive Processes in Positive Psychology. Dordrecht, Springer. Applied Research in Quality of Life. Prilleltensky, I. (2005). Review of Derek Hook (Editor). Introduction to Critical Psychology. Journal of Community and Applied Social Psychology, 15(1), 79-82. Prilleltensky, I. (2004). Review of Elena Mustakova Poosardt’s Critical Consciousness. Praeger. Journal of Community and Applied Social Psychology. 14, 500-501. Prilleltensky, I. (2004). Review of Alexa Hepburn’s Introduction to Critical Social Psychology. Journal of Community and Applied Social Psychology, 14, 49-51. Prilleltensky, I. (2003). Knowledge for liberation or liberation from knowledge? Review of Philo and Miller Market killing: what the free market does and what social scientists can do about it (Longman). Journal of Community and Applied Social Psychology, 13, 78-80. Prilleltensky, I. (2001). Book Review of Ética de la intervencion social (Ethics of social intervention) by Alipio Sánchez Vidal (1999). Published by Paidós, Barcelona, Spain. InterAmerican Journal of Psychology,35(1) 187-191. Prilleltensky, I. (1998). Tensions between the good life, the good profession and the good society. Review of Lisa Hoshmand's (1998) Creativity and moral vision in psychology. Contemporary Psychology. 43(10), P. 666-669. Prilleltensky, I. (1997). Historical context for psychology, moral context for historians. Review of Graham Richards’s (1996) Putting psychology in its place: An introduction from a critical historical perspective. Contemporary Psychology, 42(11), 990-991. Prilleltensky, I. (1997) And what about social change? Review of Argyle's (1994) The psychology of social class (Routledge). Theory and Psychology, 7, 276-278. Prilleltensky, I. (1996). Critical Psychology Reaching Critical Mass: Review of Tolman's (1994) Psychology, society, and subjectivity. (Routledge). Contemporary Psychology, 41(6), 560-562. Prilleltensky, I. (1992). Review of Pransky's (1991) Prevention: The Critical Need. Canadian Journal of Community Mental Health, 11(1) 125-128. Prilleltensky, I. (1994). Review of Albee, Bond, and Monsey's (Eds. ), (1992) Improving children's lives: Global perspectives on prevention. Canadian Journal of Community Mental Health 13(2), 244-247. Prilleltensky, I. (in press). Interiorizing and interrogating well-being: Foreword. In N. J. L. Brown, T. Lomas, & F. J. Eiroa-Orosa (Eds. ), The Routledge international handbook of critical positive psychology. London, UK: Routledge. Prilleltensky, I. (2013). Foreword to D. Harkins’s book “Beyond the campus: Building a sustainable college-community partnership Information Age Publishing. Prilleltensky, I. (2010). Foreword to Laura Smith’s book “Psychology, Poverty, and the End of Social Exclusion (Teachers College Press). Prilleltensky, I. (2009). Preface to Winkler et al. Ethical dilemmas in community psychology (published in Spanish in Chile). Prilleltensky, I. (2006). Interview for British psychology magazine Ipnosis. Prilleltensky, I. (2005). Values, discourse and action: Towards emancipatory communitarian practice. Impuls. (Norwegian psychology magazine). Prilleltensky, I. (2003). Critical health psychology needs psychopolitical validity. Health Psychology Update, 12, 3, 2-11. Peirson, L., Nelson, G., & Prilleltensky, I. (Fall 2000). Family wellness and child maltreatment: An ecological perspective. Canada’s children, 30-33. Prilleltensky, I. Walsh-Bowers, R., & Rossiter, A. (1997). Values and ethical dilemmas in helping children. Hearsay: Manitoba Speech and Hearing Association Newsletter. Prilleltensky, I. (1997). Values, discourse, and action: On the morality of psychological practice. California Psychological Association -- Division of Professional Practice. CPA Briefings, # 141, pp. 1, 5-6. Prilleltensky, I., Nelson, G., Peirson, L. (Eds.). Promoting family wellness and preventing child maltreatment. Final report submitted to Human Resources Development Canada. (9 chapters, 495 pages). Prilleltensky, I., Peirson, L., Gould, J., Nelson, G. (1993). Mandate Review: Report of Community Consultation Process. Prepared for Sarnia/Lambton Centre for Children and Youth. (Prilleltensky senior author). Prilleltensky, I. (1997). Demonstration project to prevent the use of tobacco among children and youth in a Latin American Community: Final report and guidelines for implementation. Submitted to Health Canada in April 1997. Prilleltensky, I.(Eds.). (2016). Rowman & Littlefield. Fox, D., Prilleltensky, I.(Eds.). 2nd edition, 90% revised. (2009). London: Sage. Reich, S., Riemer, M., Prilleltensky, I., & Montero, M. (Eds.). (2007). Springer. Prilleltensky,I., and Prilleltensky, O. (2006). Wiley. Prilleltensky, I. (1994). Albany, New York: State University of New York Press. Fox, D., Prilleltensky,I.(Eds.). (1997). London: Sage. Prilleltensky, I., Nelson, G., Peirson, L. (Eds.). (2001). University of Toronto Press. Prilleltensky, I., Nelson, G. (2002). Macmillan Press. Nelson, G., Prilleltensky, I. (Eds.). (2004). Macmillan Press.